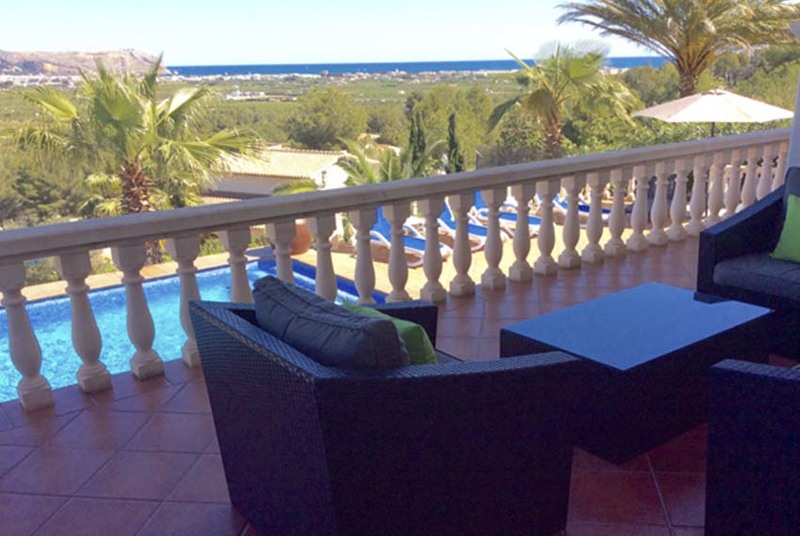 This stunning villa, located in a quiet residential area, offers spectacular views of Javea, the Montgo and the sea. The high quality furnishings and fittings are sure to enhance the enjoyment and relaxation of your holiday and will make you really feel at home. Due to its panoramic position, the garden and pool receive sun all day long. 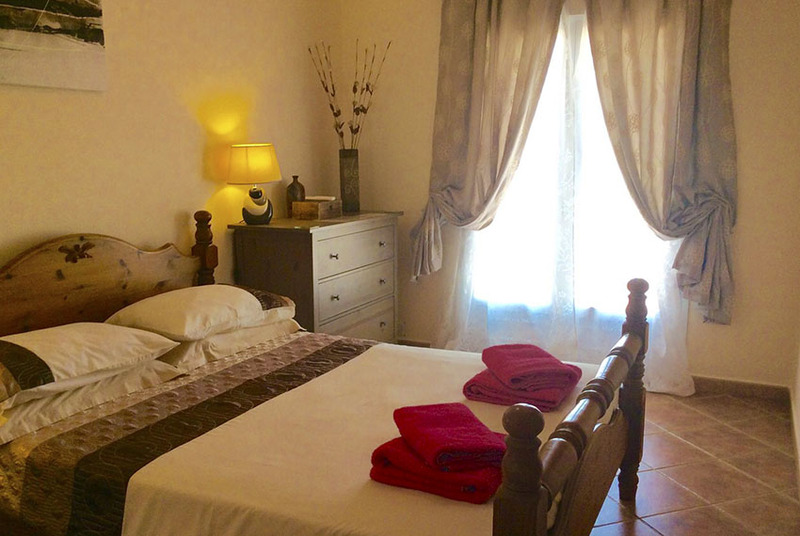 The location is private, secure and peaceful, surrounded by orange and olive groves. 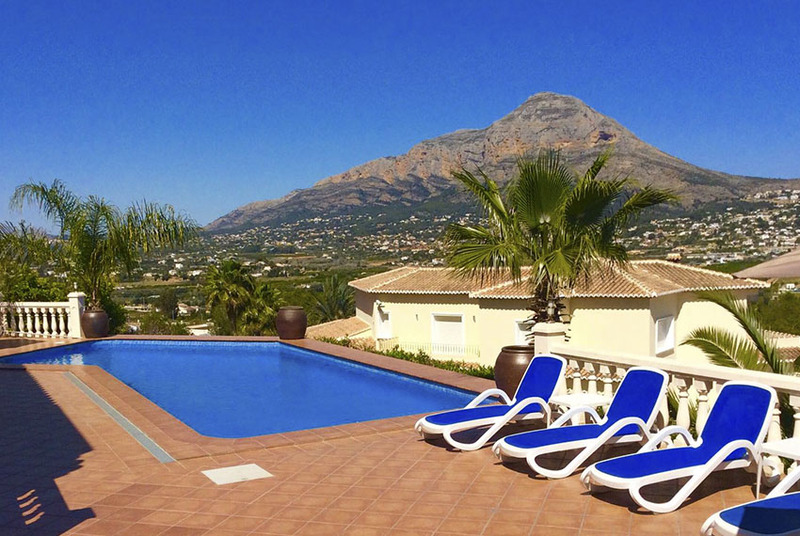 The villa is conveniently situated just five minutes drive from the sandy ‘Arenal’ beach area in Javea, and the picturesque Port and Marina area. The Elefante Restaurant is within walking distance and there are several other beautiful villages and places to see and eat within close proximity. The 11x 4m private pool can be entered from the terrace by Roman steps. There is plenty of space outside to enjoy the sun, read and relax. There is also a spacious furnished outside naya, which is perfect for al fresco dining, barbecuing or watching the sun set on the warm evenings. 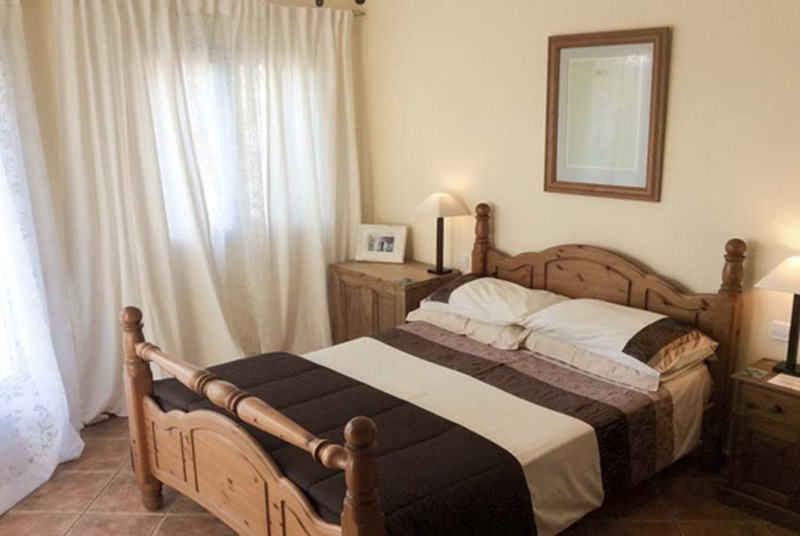 The beautiful main double bedroom with air conditioning is situated upstairs, which has its own dressing area and impressive en suite bathroom with walk in Roman shower and bath. It’s French doors open out onto another huge private sun terrace with breathtaking views. 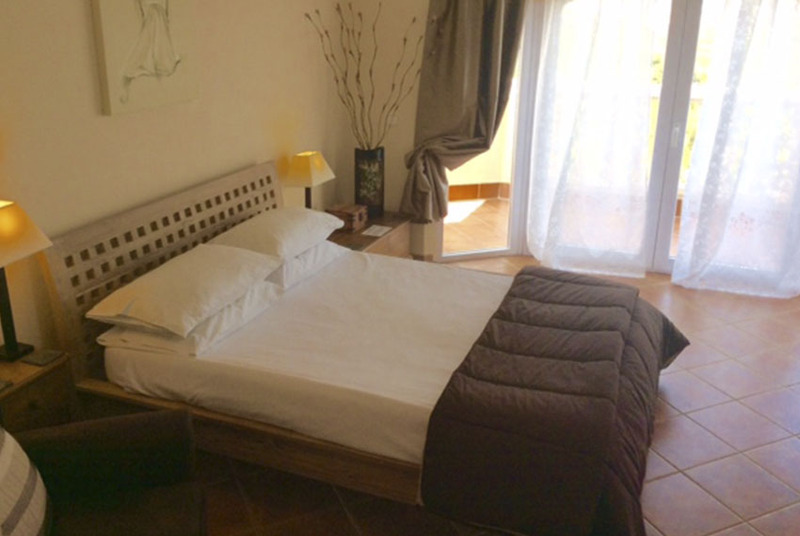 The first floor has a lovely double bedroom , air conditioned and with large en suite bathroom. Patio doors open out from here onto the pool terrace/garden. 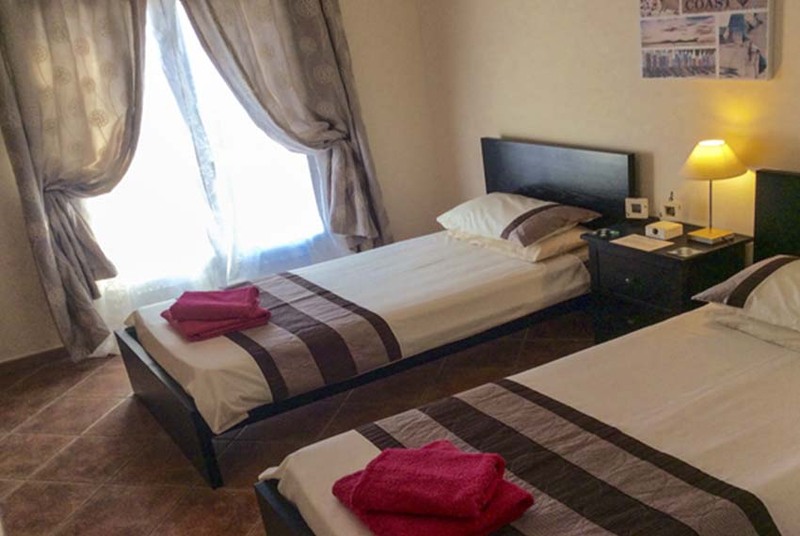 This level also has a twin bedroom and another large double bedroom with aircon which share an attractive bathroom and walk in shower. Both of these open out via their own French doors onto the terrace leading to the pool. All the bedrooms are equipped with elegant ceiling fans. The luxurious lounge is equipped with SKY TV and WIFI and this leads through to the stylish dining room, The kitchen is modern, spacious and finished to a very high standard. 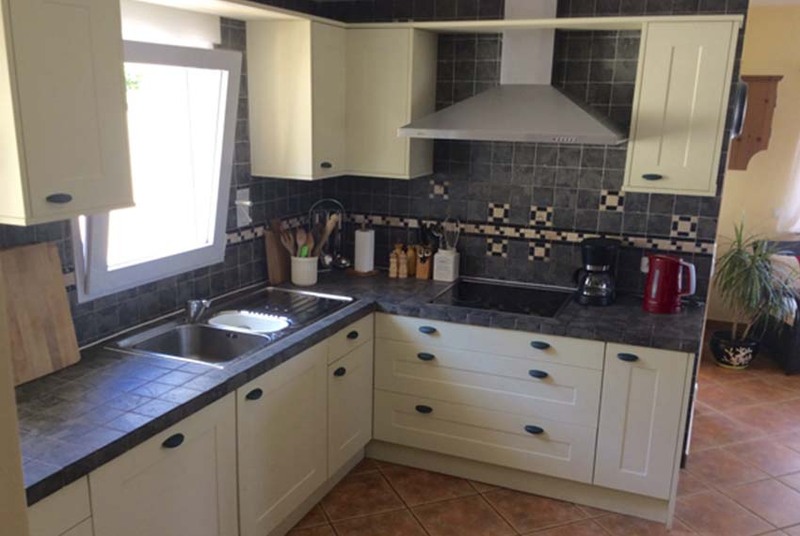 It is furnished with all modern appliances, such as hob, dishwasher and microwave. Adjacent to the kitchen is a convenient utility room containing a washing machine. In the winter, the villa has efficient under floor heating. This is an incredibly well designed, comfortable and elegant villa. It is a perfect setting for both families with children or those wanting a quiet holiday with the luxury of home. The Villa was lovely and spacious for our family of 9 and was spotlessly clean and well maintained with a well equipped kitchen. Beautiful outlook with plenty of sun beds for the whole family around the pool which we all loved, especially the grandchildren. A holiday to remember. Stayed in villa for first two weeks in October and can honestly say that the villa has the WOW factor . It is beautiful , loads of space and most importantly it has little areas to retreat to if you go on holidays with family!! . Having booked villas through Brian at Starvillas for the last three years I would never book through anyone else. Villas are at such a high standard and if you encounter any issue or problem they will resolve it straight away for you. Fantastic company and fantastic villas. Thanks Brian see you next year. Beautiful villa, amazing views, very quiet and peaceful. Wonderful to sit by the pool everyday, lovely sunshine and clear blue sky. Plus lots of duty free champagne. We will be back. We have had a lovely holiday in this beautiful villa with it’s spectacular views of the Montgo and the sea. Everything we wanted was here and the location is ideal for many of the best local restaurants. Enjoyed sitting in the sun by the pool everyday. We’ve had a lovely holiday, ddespite the weather being mixed! Villa Lilavadee is beautiful- lovely views, we enjoyed watching the stunning sunrise and sunsets. Paul has been excellent- nothing is too much trouble for him to help out with. This is a very special place. 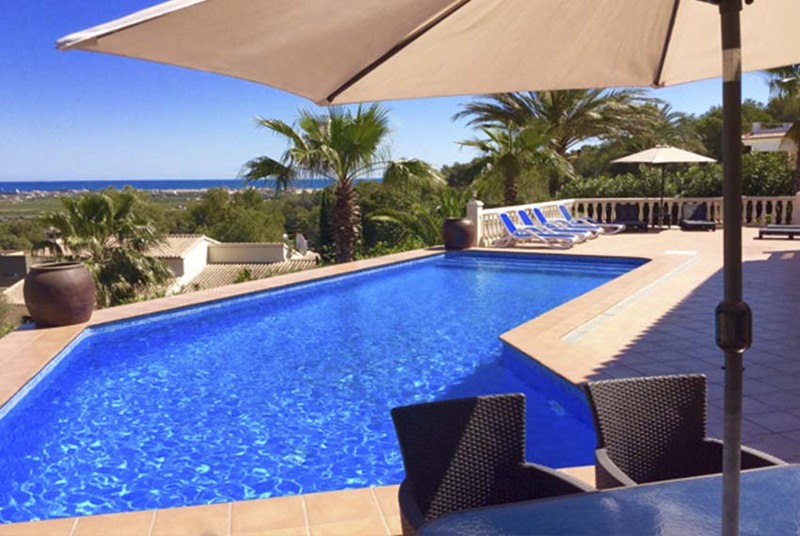 My husband and I spent 7 days at Villa Lilavadee in Javea during the Summer. What a beautiful and tranquil place. This was our second visit and this time we were even more overwhelmed by the views, the home comforts in the villa and the diversity of its location. 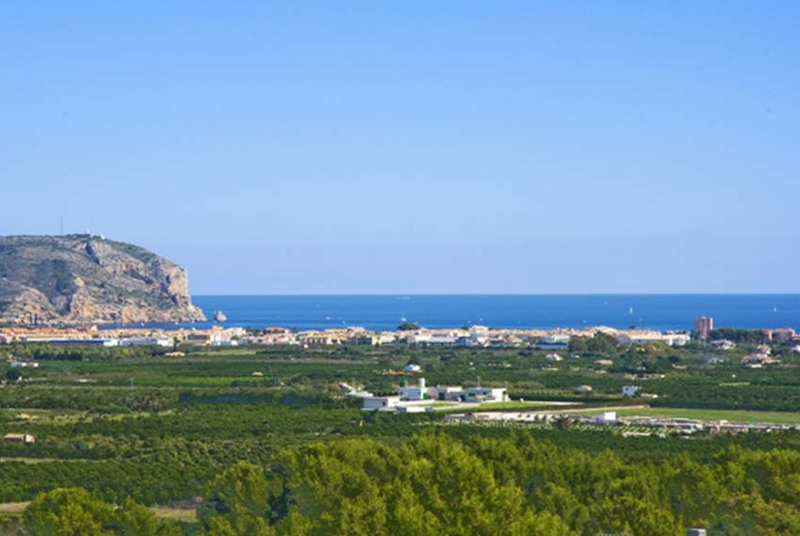 Javea has it all, from the lovely beaches, the amazing restuarants on the Arenal and at the Port, to the architecture in the old Town and much, much more. However, we didn’t venture far from the villa as it has everything we needed to make our stay perfect in everyway. We travel a lot but this has to be the best villa we have ever stayed in. Thank you to Star Villas and the owners for helping to make our stay so wonderful. We will be back for many more years to come. Superb facilities, spacious and extremely homely. We had such a wonderful time that two weeks was not long enough. We will be back without doubt. Villa Lilavadee is one of the most beautiful villas we have ever stayed in. This is our fourth visit to the villa and it just gets better each time. The villa itself has an amazing setting with views that are breathtaking. So much so that most nights we just wanted to eat in the naya/terrace and enjoy the spectacular views of the sea and the Montgo. The owners have upgraded Villa Lilavadee to a very high standard and this made our stay very comfortable indeed. This now has to be our favourite villa of choice and we will be back next year. We were very sad to leave as we had such a fabulous holiday there. Super place with amazing views. 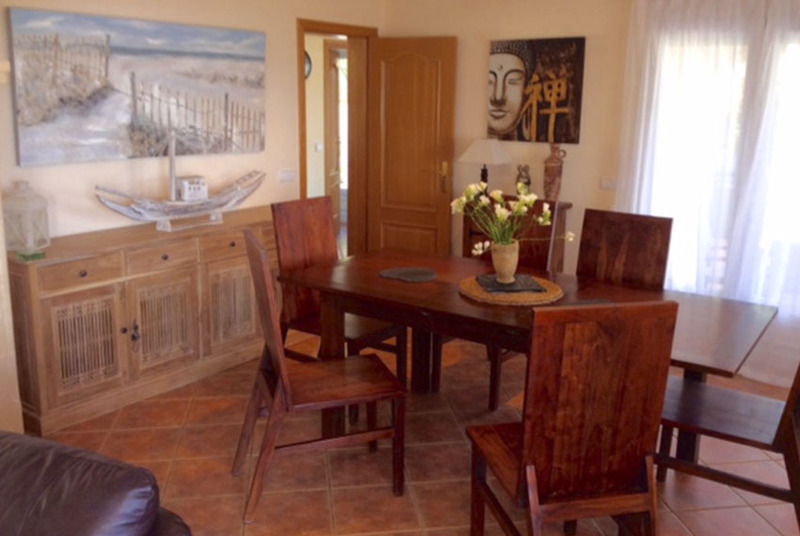 Lovely new stylish pool furniture and new dining table have made this villa super stylish. Javea is a great town and is what you want it to be – cool and laid back or buzzy and beachy. There is something for everyone. 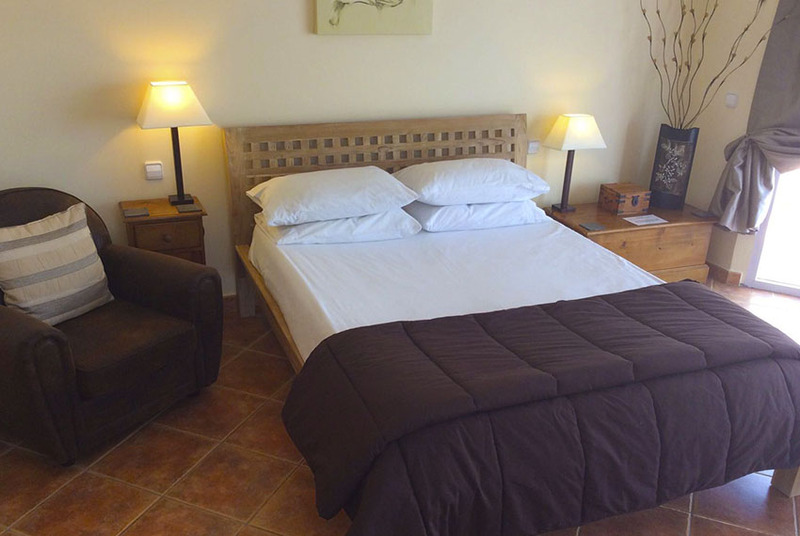 The layout of the villa means that the upstairs is almost self contained – great for parents with teenage kids! I rarely go back anywhere on holiday but have just booked my fourth trip back to Villa Lilavadee. I took my 3 year old granddaughter and her parents for their first family holiday. Villa Lilavadee could not have been more perfect. Far enough from the busy seafront for peace and quiet but near enough to travel there and eat in one of many restaurants where the fare was high class, exquisitely presented and excellent value for money. The villa had every facility including wi-fi, spectaclar views and it was beautifully appointed. It was the perfect situation for my gorgeous wife and I to see the young family have the most special of weeks. We will be back. 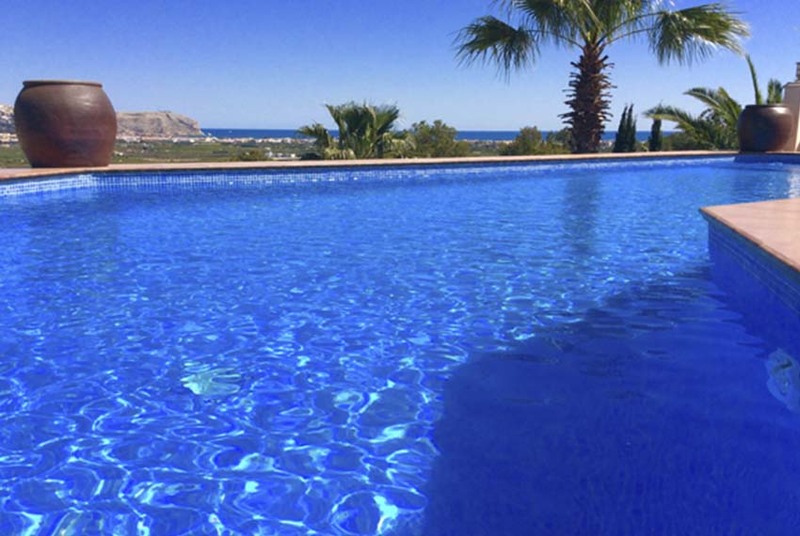 We have recently returned from another fantastic 2 weeks in Javea at Villa Lilavadee. This was our first time at Lilavadee and we were very happy indeed. Brian, Paul and their team, once again, provided an outstanding service and nothing was too much trouble. We have been using Star Villas for over 10 years and we would not hesitate recommending them, or their villas. We look forward to seeing you again in August 2012. 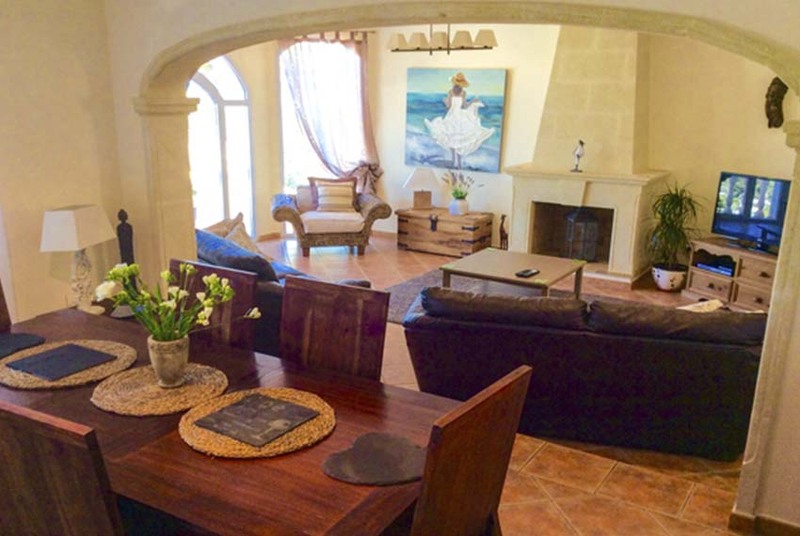 We booked houses of Star Villas for several times, this time it was Casa Lilavadee. It’s a very comfortable house with everything you need and a very nice view to the see and Montg’. We liked it very much and booked it again in october. The service was also very good and there was several times someone from the agency who asked if something is missing. We have just returned after a wonderful second stay at Villa Lilavadee. We just wanted to say what a memorable stay we have had yet again. It is an exceptional villa in every way: luxurious furnishings, fabulous views, a delicious pool and everything you could possibly need has been thought of and provided. It is perfect in every way!! We will certainly book again to return very soon. Just arrived back from our week in Villa Lilavadee. The villa was as beautiful as portrayed on the website. Thanks to Brian for making booking easy and we look forward to using Starvillas again in the very near future.Would recommend Javea and Starvillas to our friends and family. Just had another fabulous time at Lilavadee,Its got even better. The new furnishings looks great (both inside and out) most stylish and comfortable!! We have returned home on the 24th September 2011, having had a wonderful holiday in Villa Lilavadee. This is the second holiday this year in this Villa. Since our last stay the villa has received a lovely make-over including new leather furniture in the Lounge, new furniture on the Naya plus redecoration. The villa is now excellent. Many thanks to Brian, his wife and the team for making our stay so memorable. We have no hesitation in recommending Star Villas, their service is very professional. We have just returned after spending a great holiday in Javea. We stayed in the villa Lilavadee and what a lovely villa this is. 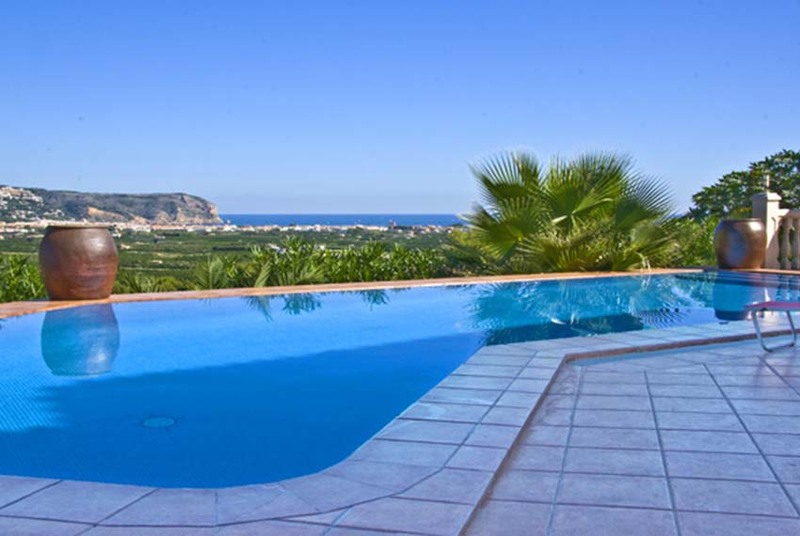 The sweeping views of the sea and the Montgo mountain, from the villa, are without doubt fantasic. The villa is modern and spacious, fully equipped with every item mentionable. A truly great villa for a family holiday, no hesitation in recommending this villa. Once again many thanks to all at Star Villas for yet another wonderful holiday in Xabia. Lilavadee is a lovely comfortable villa situated high on a hillside offering spectacular views over the valley towards the old town and on towards the sea. Night time views must be seen to be appreciated! We have been holidaying in this region for many years and our only regret is not having discovered Star Villas sooner. Our week in Villa Lilavadee was absolutely superb. A fantastic villa, incredible views, the villa was of such a high standard, just couldn’t fault it. We were also blessed with perfect weather even in October! We have already booked our next holiday with the wonderful Star Villas team. Have recommended them highly to all our friends and family. Back for the second time, and this time for longer. Everything was perfect. Found lots of great places to eat out (but having a meal on the villa terrace remains very special) and tapas in Javea old town became a favourite. Many thanks to the Star team. Paul\’s suggestions for trips and visits were spot on. Didn\’t manage to visit them all, so plan to see you all again. Thanks to the team for all your help during our stay at Villa Lilavadee. We had a wonderful time in this superb accommodation, and those views are quite spectacular, making the perfect backdrop to the swimming pool, and al fresco dining. We will be comming back in a month, and are really looking forward to it.